ST. PETERSBURG, May 16. /TASS/. The lead ship of project 22350 The Admiral Gorshkov will be delivered in November 2017, the chief of the Russian Navy’s shipbuilding department, Vladimir Tryapichnikov, told the media on Tuesday. "The Admiral Gorshkov, the Ivan Khurs and the logistic ship The Elbrus are to be commissioned in November," he said. 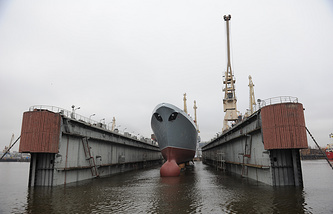 Earlier, Deputy Prime Minister Dmitry Rogozin who oversees the defense-industrial complex said The Admiral Gorshkov’s testing was continuing in keeping with the original schedule and was to be completed in July. What makes The Admiral Gorshkov so difficult to commission is that several newest systems, including radio-electronics, artillery systems, ship equipment and air defense systems had to be tested simultaneously. The Admiral Gorshkov is the lead ship of project 22350. 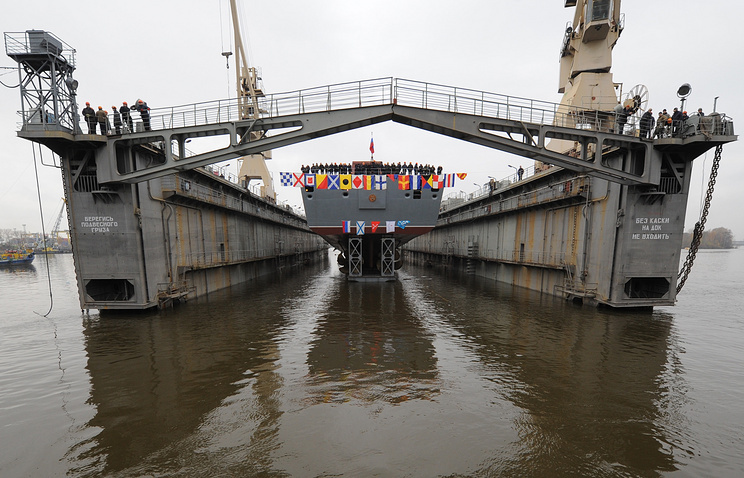 Its keel was laid at the beginning of 2006. The ship was set afloat in the autumn of 2010. The first tests were conducted in November 2014. The final trials began on March 20, 2017. Russia’s Navy expects the delivery of a second frigate of project 22350 The Admiral Kasatonov in 2018, according to Tryapichnikov. "We plan to put the Admiral Kasatonov on the list of the Navy’s ships in 2018," he said. By 2025 four frigates of project 22350 are to be delivered to the Russian Navy. "We expect four frigates identical to the lead ship The Admiral Gorshkov by 2025. After that the project will be upgraded," Tryapichnikov said, adding that the upgrade would be fundamental. Project 22350 has a displacement of 4,500 tonnes and develops a speed of up to 29 knots. It is armed with Oniks and Kalibr missiles and air defense missile system Poliment-Redut.